A convertible headliner is the fabric along the inside of the convertible top. This is an extra layer of protection from outside elements including falling debris, as well as temperature changes. The convertible headliner is a vital part of your convertible’s ability to keep moisture from damaging the interior of the car while reducing road and wind noise, as well. Over the years, convertible headliners can take quite a beating and will inevitably need to be replaced. Convertible tops and headliners are parts that must be replaced in order to prevent additional damage to the interior and mechanics of the convertible system. So, when is the right time to replace your headliner? We’ve put together some tips for identifying when your convertible headliner needs to be replaced. Headliners sag due to the adhesive losing its strength after years of extreme hot and cold weather, as well as moisture. A sagging headliner can be temporarily repaired with supplemental spray glue to re-attach the fabric. This will only work if the headliner is slightly sagging. You may find that if the headliner is sagging too much, the fabric will be difficult to lay flat and may not stick properly, causing additional tearing when the convertible top is engaged. It’s important to keep in mind that this is a temporary fix and will not sufficiently keep moisture out of the car. The best option is to completely remove the sagging headliner and replace it with a new, matching headliner. Tears in your headliner are a sign of things to come. As you raise and lower your convertible top, any tears will inevitably grow and cause the headliner to begin to sag. Temporary fixes including pins or staples (which we don’t recommend using) will not last long and will eventually cause more holes in the headliner fabric. It’s best to remove your headliner and replace it to avoid causing additional damage to your car’s interior and convertible top. It may be difficult to notice increasingly louder road noise, since it can happen over months or even years. However, if your interior is louder than normal, it may be due to a compromised headliner. If you hear even the smallest wind gust while driving, you will need to investigate the source of the leak and see if you can seal it until the headliner can be replaced. Without replacing the headliner, the road noise will not only increase, moisture will begin to seep in ruining your car’s interior. Whenever you replace your convertible’s top, the headliner should be replaced, as well. Even if the headliner looks barely used, there’s no sense in risking damage to your new convertible top or interior with an old headliner. Give your convertible the attention and protection it needs to stay in perfect shape for years to come. These are just a few of the signs that you should replace your headliner. A new headliner from Auto Tops Direct will fit perfectly, withstand years of use and keep your convertible looking great on even the smallest budget. Share your headliner stories with us in the comments. We’d love to hear from you! Which Jeep is Right for You? We have always been told that life is not about the destination, but about the journey, and we believe there is no greater pleasure than taking to the open road and just driving. Some of our favorite memories were the ones created while trying to simply get from point A to point B, and after years of traveling on the road, we realize that your vehicle can make quite the difference in how you experience that journey. To us, the vehicle that most embodies adventure and discovery is the humble Jeep. With roots dating back to military use decades ago, it is easy to see how the Jeep’s rugged and tough build makes them more than just sport utility vehicles, but vessels of adventure. But with a now extensive line of vehicles, which Jeep model is the best for you? In ascending order, we have narrowed down Jeep’s line to our top picks along with which driver they’re best suited for. For those new to the world of off-roading, the excitement and rush that we all experience by flooring the gas on gravel might be intimidating. Coming in at a much more approachable price tag than many other Jeep models, the Patriot and Compass are two vehicles that are perfect if you have just recently decided to get your feet wet with off-roading. These vehicles both have the signature Jeep design elements for which the brand is known as well as the capability to be driven on both urban highways and the occasional bumpy back road. So if you have never tried driving off road but have an indelible hunger for adventure beyond your years, the Patriot or Compass might be the perfect introduction to living life off road. One of the only true crossovers on the market, the Jeep Renegade is perfect whether you’re taking it slow and steady on the way to work or blazing down the bumpy and gravely roads less traveled. Just because you enjoy the ruggedness of the off-road lifestyle every now and then does not mean that you want to sacrifice your technology needs. The Renegade comes fully loaded with tech like USB ports and entertainment center standard. If you consider yourself a hobby off-roader and you enjoy some technology creature comforts along the way, the Jeep Renegade might be the right vehicle for you. 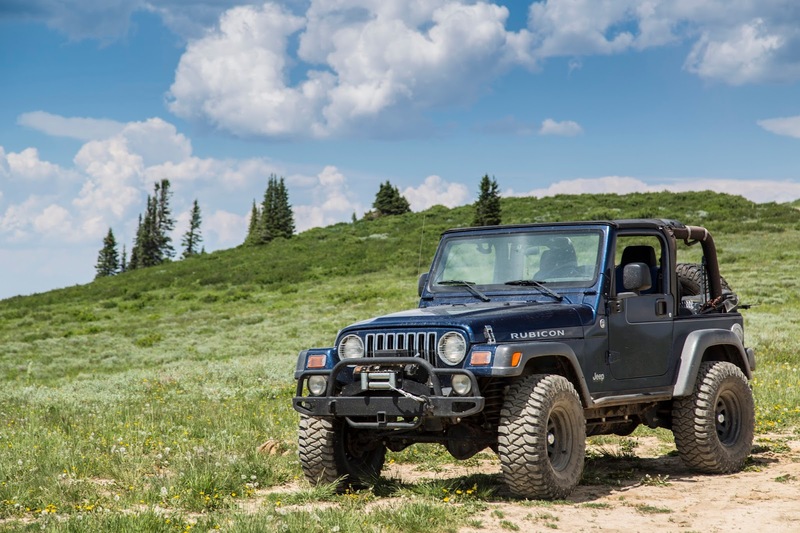 Made for those who buck the rule of, “keep your hands and arms inside the vehicle at all times”, the Wrangler is a flagship for the Jeep brand and carries in its DNA the company’s love affair with the adventure of the off-road. In fact, this model can trace its history all the way back to the 1940's when it served the Allied forces in World War II. 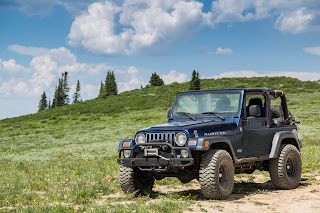 Of course, while the Wrangler of today is much more modern and carries loads of tech features, the purpose of the vehicle has never changed--its rugged build and 285 horsepower engine making every road seem like the path of least resistance. When you drive a Wrangler, you are not so much a driver anymore as the captain of your own expedition. Driven with one of our signature canvas soft tops, you get the freedom to decide if you want to ride with the top down as well as a truly immersive driving experience. So, if you consider yourself a modern descendant of the world’s great explorers, the Jeep Wrangler might just be the ship you have been looking for. Which Jeep best resembles your personality and how did you find your perfect Jeep? Share your thoughts in the comments! Mazda Miata Convertible: A Best Seller! Hardtop vs Soft-top Convertibles: Which is Better? When is the Best Time to Buy a Convertible? Copyright 2009-2019. AutoTopsDirect. All Rights Reserved. Powered by Blogger.